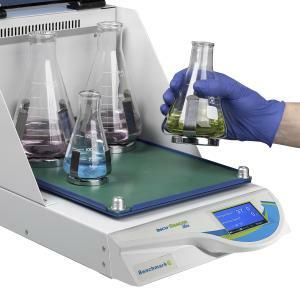 A small footprint, compact, stackable design and expanded temperature range make the 5211DS incubatorsideal for molecular biology and general use. Its integral orbital shaker makes it highly versatile. 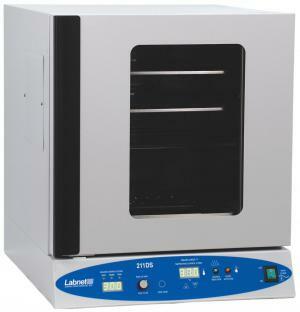 Labnet's exclusive SmartChek™ temperature control system guarantees precise temperature control. 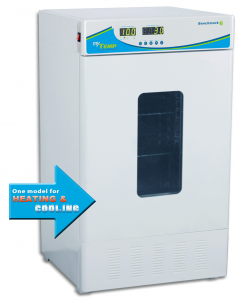 Mechanical convection maintains a stable temperature environment and provides quick recovery after opening the door. A safety thermostat is located on the back of the unit. The insulated door has a large, double glass observation panel and opens nearly 180° for easy access. 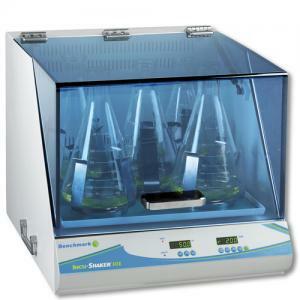 Two full and one half shelf are supplied with each incubator. A flat platform and pre-drilled flask platform (clamps sold separately) are available for the 5211DS. Internal electrical outlet allows using small equipment such as GyroMini™ or Mini LabRoller™ Rotator inside the chamber of the 211DS. Shaking flask clamp platform, predrilled for NDI5211-DS (clamps sold separately). Fits 211DS, 211DHS. Flat platform with non-slip rubber mat. Fits 211DS, 211DHS. SRI3 B.O.D. 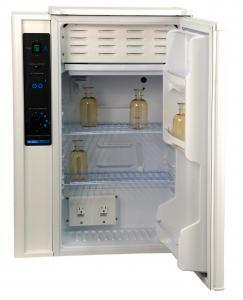 Refrigerated Incubator 2.4 Cu. Ft.